Description : Born in Prince Albert, Saskatchewan in 1940, Harry Jerome was The premier Canadian track athlete of his time. Harry went on to set the standard as the world,s fastest man, with records in the 100 metres, 100 yard dash and indoor 60 metres. He also helped to establish a world record in the 4 x 100 metre relay. In 1982, Harry Jerome died suddenly at the age of 42. Despite his untimely passing, he left a considerable legacy that is a source of pride for all Canadians. 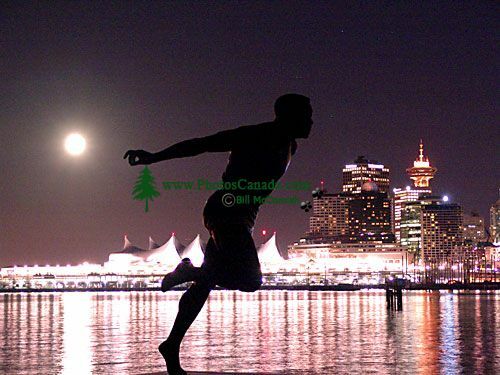 In 1988, a huge statue was erected in his honour along the sea wall of Vancouver,s Stanley Park.